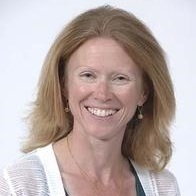 Rachel Loxterman | Coleman/Quiner Ltd.
“Life is what happens while you’re making other plans." I came to both Des Moines and to Coleman/Quiner almost by accident, never imagining that almost 25 years later, both would still be a part of my life! But as a Type-A personality and incurable multi-tasker, both the ongoing complexity of the financial industry and the constant activity of a small “family”-type office turned out to be a perfect fit for me. Helping our clients to simplify and understand what would otherwise be complicated is one of my greatest strengths and pleasures; luckily, it is also what I do here almost every day. In fact, working alongside my husband Dennis here at the office, Coleman/Quiner has become very much like an extended family. After transplanting Dennis from Kansas City, we made Johnston our home -- along with two bicycles, many pair of running shoes, one set of golf clubs, two kayaks, & Blue The Little Gray Cat (who you will often find here at the office with us). When we are not working, Dennis and I enjoy doing almost anything that does not involve sitting still, unless “sitting still” means watching sports! 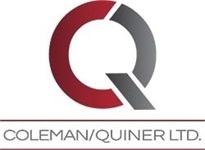 Now a partner of the company, I cannot imagine life without Bob, Steve, their families, and our many generations of clients here at Coleman/Quiner.